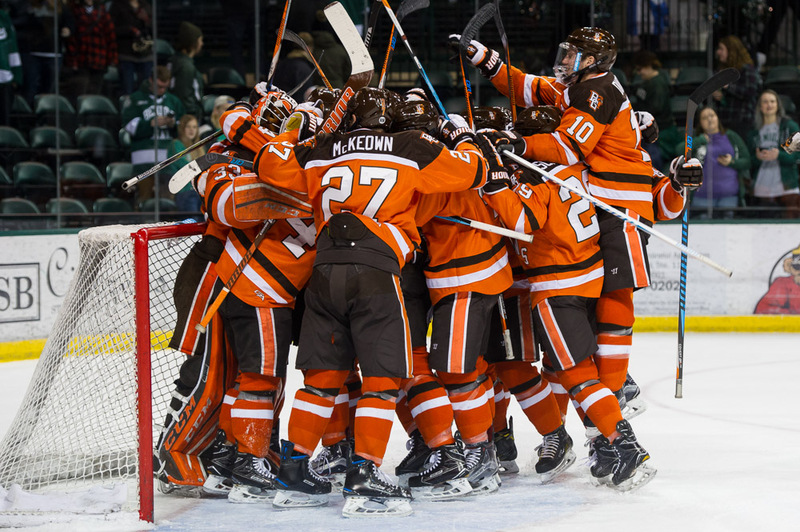 Bowling Green will play 28 Western Collegiate Hockey Association games and eight nonleague games next season. Next season’s schedule was announced Thursday afternoon by the league and its schools. The Falcons’ 28 league games consist of four games each (two home, two away) against five opponents and two games each against four opponents. BG plays Alabama-Huntsville, Alaska-Anchorage, Lake Superior, Michigan Tech and Minnesota State four times each. The Falcons host Alaska (Fairbanks) and Bemidji State in two-game series and visit Ferris State and Northern Michigan in two-game series. The Falcons’ nonleague schedule consists of home-and-home series against Michigan State and Western Michigan, a two-game series at home against Miami and two games in the Great Lakes Invitational at Little Caesars Arena in Detroit. The Falcons open the season at Western Oct. 10 and host the Broncos Dec. 28. BG faces Michigan State Oct. 13 in the Falcons’ home-opener and visits Michigan State the next night. BG hosts Miami Nov. 24-25. The teams played two games at Miami last season. The Falcons don’t play Ohio State next season because the Buckeyes had to drop four nonleague games to accommodate the addition of Notre Dame to the Big Ten Conference. OSU is expected to return to BG’s schedule for the 2018-19 season. The Detroit Red Wings will announce the dates and pairings for the Great Lakes Invitational next month. The other teams in the GLI are Michigan, Michigan State and Michigan Tech. The Falcons’ first contest will be an Oct. 1 exhibition against Wilfred Laurier in the Slater Family Ice Arena.